It really has been an amazing year. Started out by doing Mechropolis in Q1-Q2 and a mobile/tablet demo for CoBots, went to Köln for GDC and Gamescom in the summer and started work on what would develop into BlastCat, Attended the Dreamhackathon at Globen, Went to Game Connection in Paris at the end of October, threw together Magnetos just before Christmas. And that’s just the game development related highlights! It’s been a crazy year, both personally and professionally. So, what’s up for 2015? First up we’ll be finishing BlastCat, we still have a lot left to do but as it’s looking right now a February-March release is not completely unfeasible. I’ll also be finishing Magnetos, there isn’t that much left to do and as the scope is rather small so it’ll hopefully go smoothly. I’ll also most likely be doing a short but full time project before the summer. I’ve got to say it feels quite good to have two planned releases for the first half 2015, but quite scary at the same time as the second half is somewhat of a empty void at the moment. Browsed all the pictures I’ve taken during 2014 and found this gem. And you know, can’t have a blog post without at least one image! 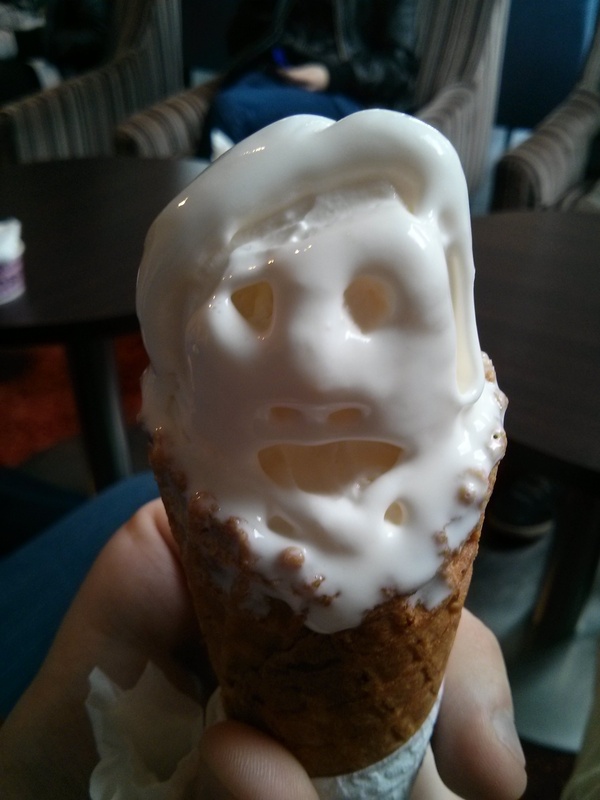 Best ice-cream face of the year!